The Responsive Sidebar Menu extension displays a column of small icons at the left side of the page. When you hover the mouse over the icons, then the multi-level menu will become fully visible. On mobile devices, the menu will be available as ‘hamburger’ drop down menu. 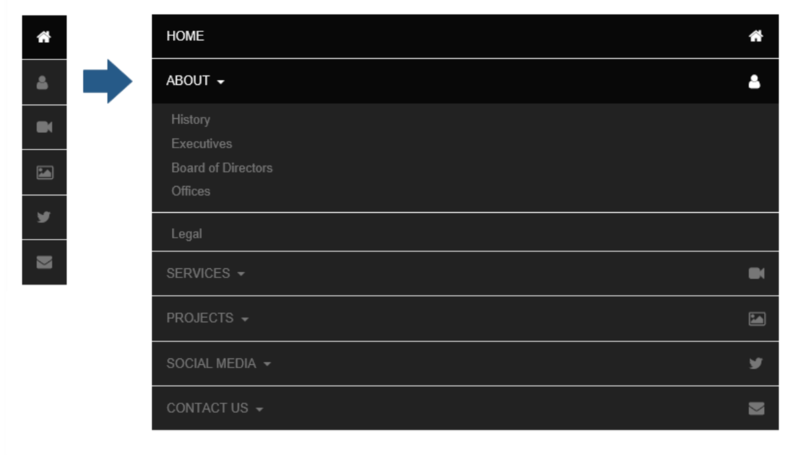 It is also possible to always display the full menu or use it a panel menu! This extension is also part of the Navigation Extensions Pack - Volume 2 which includes 11 commercials menu extensions for only $24.95!